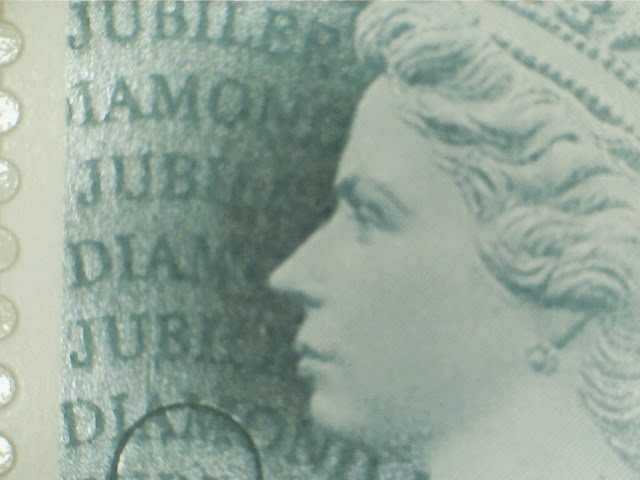 It's nearly two years since we showed any new Machin forgeries, and although the 1st class gold are still circulating, it's high time we came up to date. 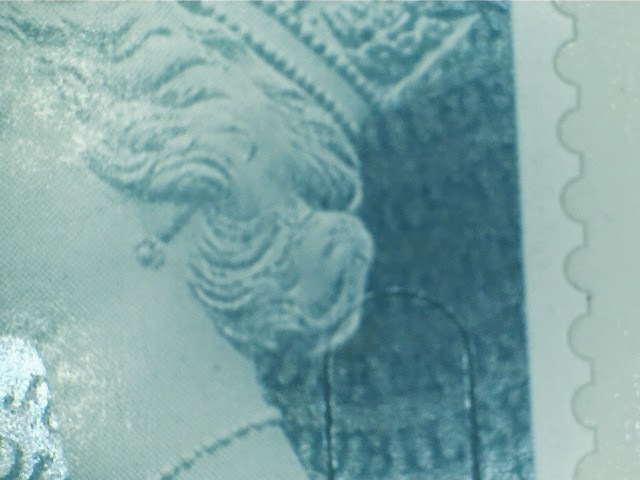 Bear in mind that it's impossible to get the microscope in exactly the same place for both stamps, but one of these is a forgery, and it's pretty convincing (oh and despite the images, the stamps are the same size!). 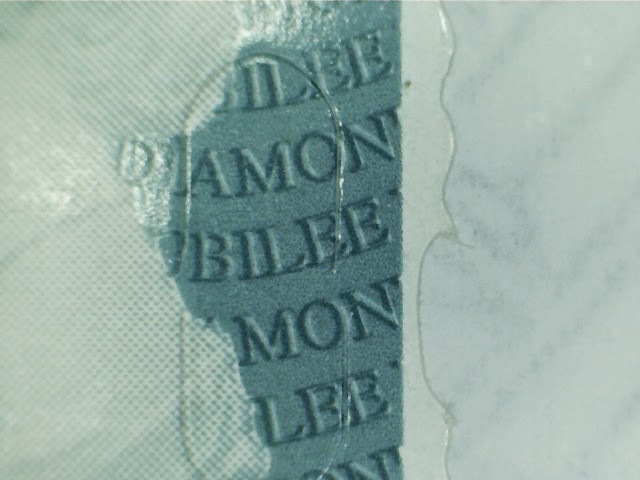 This Diamond Jubilee forgery, however, is easy to spot, with the iridescent printing more like the pre-issue publicity images than the real thing. 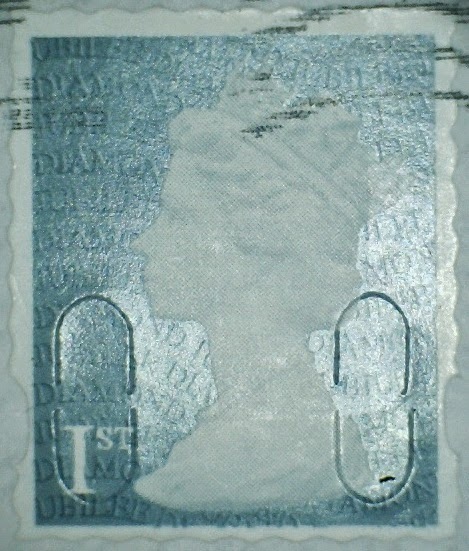 The 'perforations' are so wrong it rather makes you wonder why they bothered with the elliptical perforation at all, and the portrait is just wrong! Can anybody NOT tell which is which ? 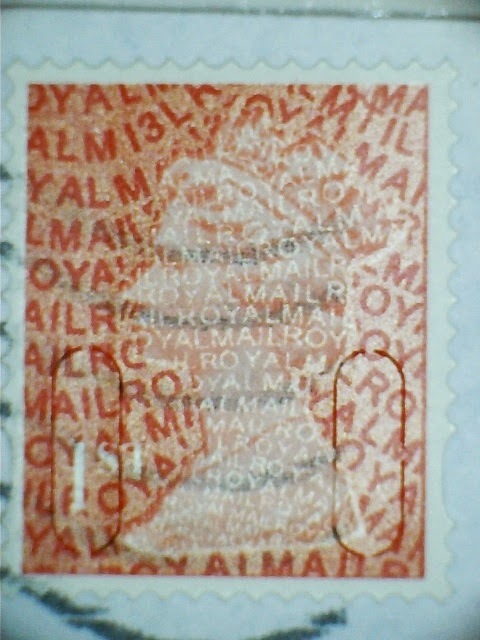 Apparently, Royal Mail, as it looks like this was cancelled! 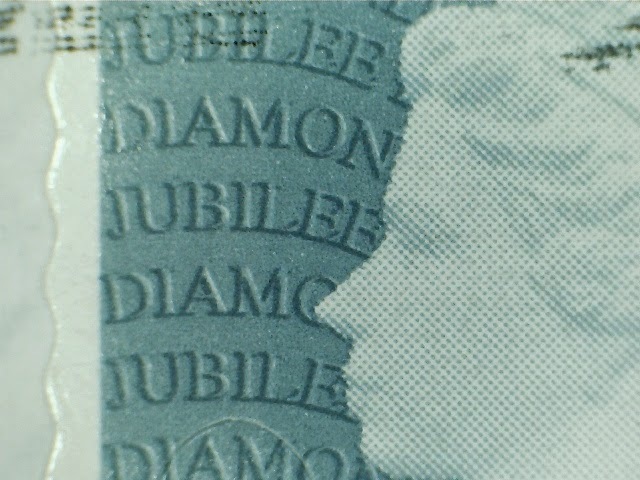 I see from the latest MBPC journal that Martyn Fry of Royal Mail has stated that the reason that the Machin pane from the Buckingham Palace prestige book had an illegible security overprint was because "the pane is produced in litho which doesn't lend itself to iridescent ink". 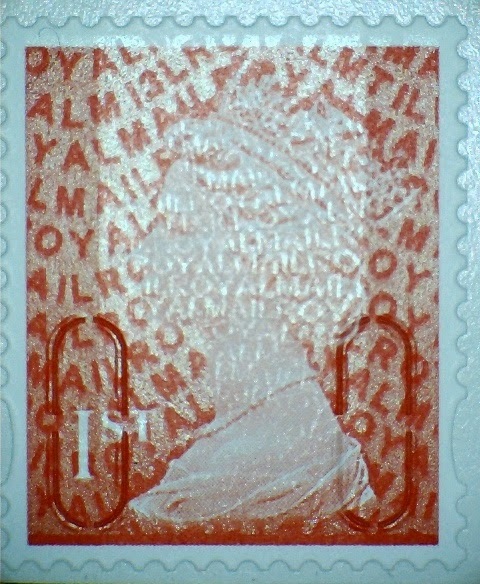 I haven't seen the new red 1st class forgery, but I would expect it to have been printed in litho like all the previous forgeries. 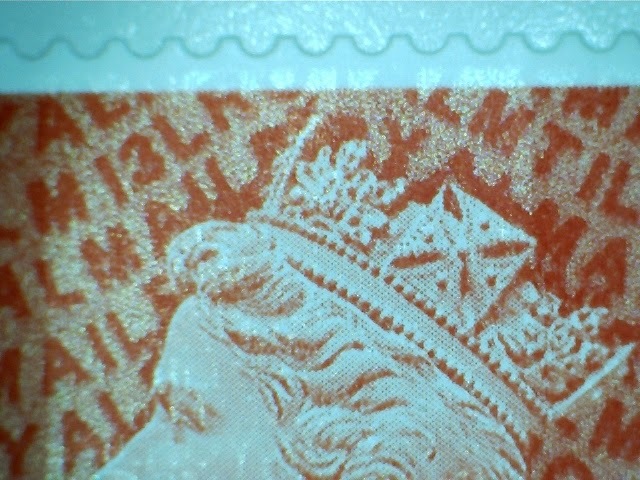 When Royal Mail catch the forgers, they should give them the contract for printing the next prestige book pane. They are doing better than Enschede. 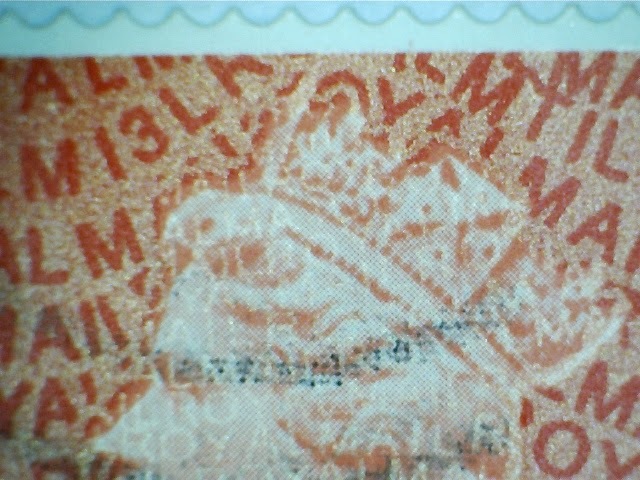 Forgery is a criminal offence. As soon as one body are 'caught' another one takes over!